Well, it’s like my god. I cant believe I have waited this long to warship it. I was at the Yoga Journal conference yesterday and next to taking Kathryn Budig’s class (she is such a rock star), the Vitamix demonstration was my next favorite workshop. I was holding off on buying one because I have a perfectly fine working blender at home. I mentioned this to the Vitamix guy, as he was preparing a green smoothie for me, and he replied, “It could be 10 years before your blender dies and then you have missed out on 10 years of preparing amazing foods”. OK, I know it’s his job to sell me a blender but he was so right. I blend green drinks nearly every day and this machine was like the tesla of blenders. So quick, light and easy to maneuver . While I was finishing my amazing green drink he blended me up some me hot raw soup, wow! So delicious! 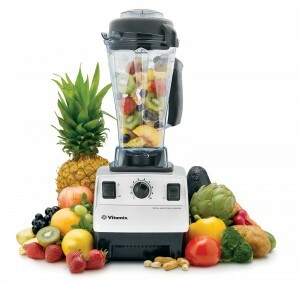 From hot soups to frozen deserts, I was convinced this machine could blend just about anything. So I slapped my 450 beans on the counter and walked out with a miracle. Blend for 2 minutes or until desired consistency is reached. 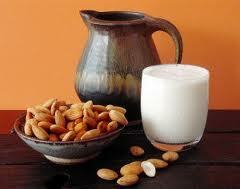 Pour almond milk into a nut bag and filter through. 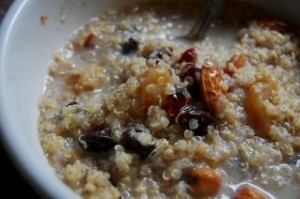 Mix cooked quinoa, milk, and cinnamon in a sauté pan; cook slowly on a stove top. Sweeten to taste with agave. Top with fruit and almonds for a complete breakfast. This entry was posted on Monday, January 21st, 2013 at 3:29 pm	and is filed under Nourishment + Recipes. You can follow any responses to this entry through the RSS 2.0 feed. Responses are currently closed, but you can trackback from your own site. If your in a rush make quinoa in a rice cooker the night before, it will be hot and ready to eat in the morning. Use left overs to make a quinoa salad, add your favorite veggies and dressing. Great idea Mel. It will last up to three days in the fridge. You can also add it to your soups.